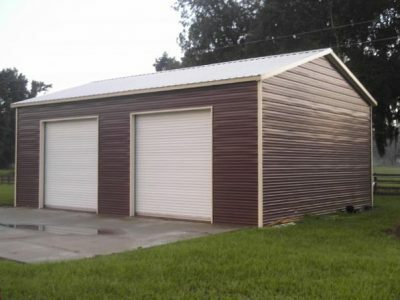 We offer the highest quality steel buildings and carports. 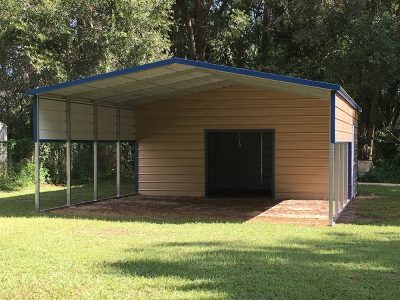 All of our enclosures are built with the best American made steel and locally manufactured by Orlando Steel Enterprises for superior strength and longevity. Many different sizes and styles and colors are available. 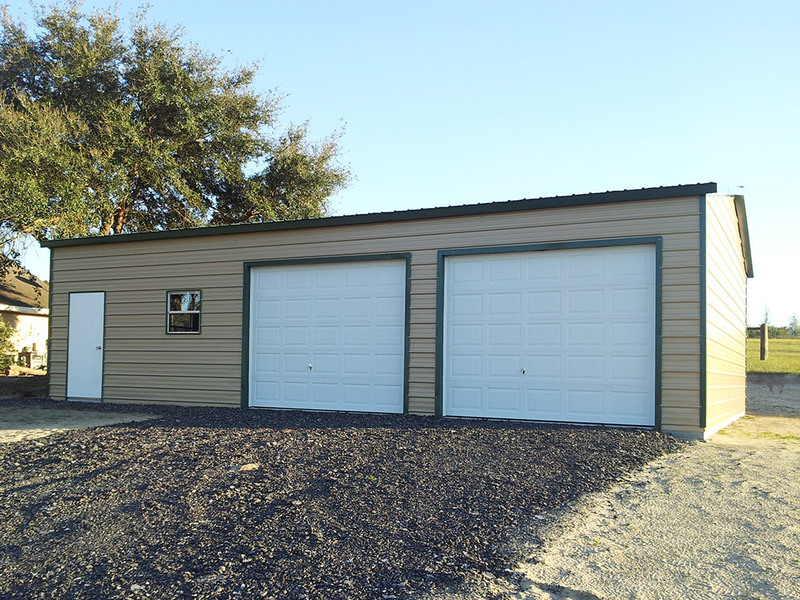 Orlando Steel manufactures the most durable metal garages to provide secure storage for your RV, cars, tools and landscaping equipment or any purpose you have. 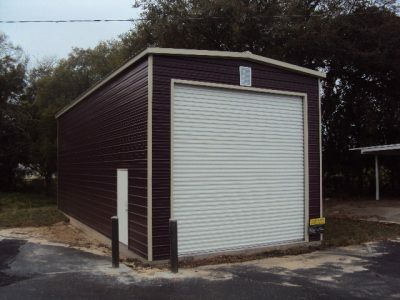 We offer a great selection of storage buildings to accommodate different needs and budgets. Choose a standard ranch, barn, lean-to or loafing shed model or design a custom configuration. Protect your investments from the weather. Our pre-engineered garages can span up to 150′ wide without interior beams or posts which allows greater flexibility to arrange or move your vehicles inside the building. 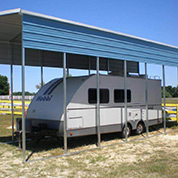 Orlando Steel’s clean frame design eliminates areas inside your RV storage building where birds can perch in the roof and make a mess of your cars, trucks, motorhomes, boats and jet skis below. Our 14 gauge American made galvanized steel is above and beyond the Chinese steel equivalent. Buildings are at least (2×3 base rail) 140mph wind compliant with the best roof system available for strength, durability and cooling. Our Valspar Panels have a 40 year color warranty for vertical roofs. 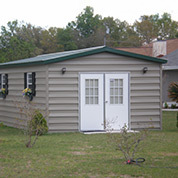 All of our structures come with a one year labor warranty. 21 color choices. Outstanding color retention and resistance to dirt accumulation. Our installers are FULLY insured. Our drug free policy means you can rest easy knowing you can trust who is on your property. 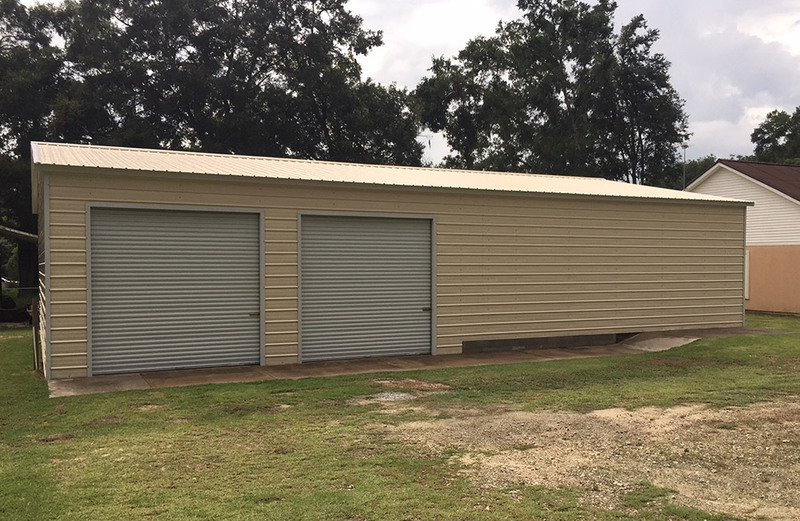 Because our steel buildings use 2×3 or 3×3 (optional) American steel base rail we can assure you that the building you buy from us will be the strongest structure available for your application. Our American steel is far better and much stronger than the Chinese steel that the “cheap” metal building companies use. 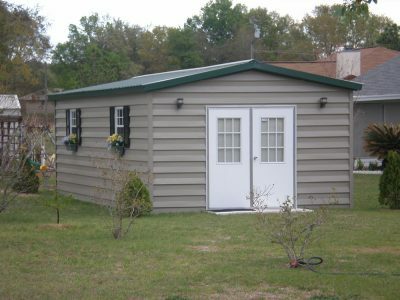 Chinese steel is typically used in cheaper metal buildings. Unlike American steel, it will not hold up to the elements and stand the test of time. Our steel structures are beautifully designed. 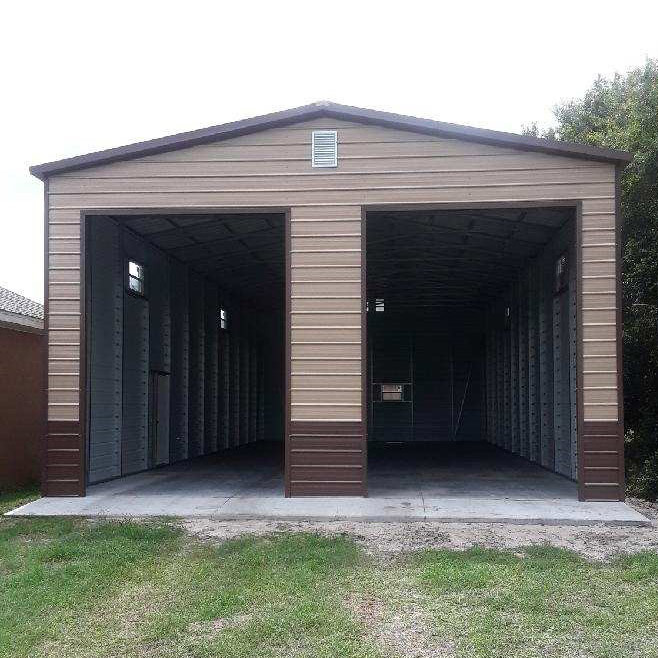 Whether you are remodeling or designing a home, adding a carport, pavilion, a shed, or an RV or boat cover, your building will bear our distinctive look and unparalleled quality. Do you have unique storage or enclosure needs? 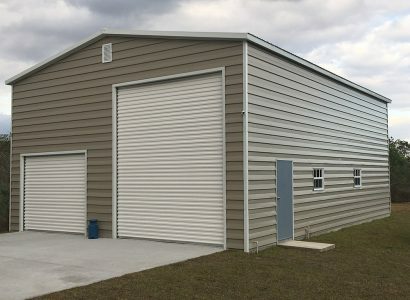 If our wide variety of standard sizes won’t do, the team of professionals at RJ Labadie Construction will work directly with you to create a custom steel building to suit your specific requirements. 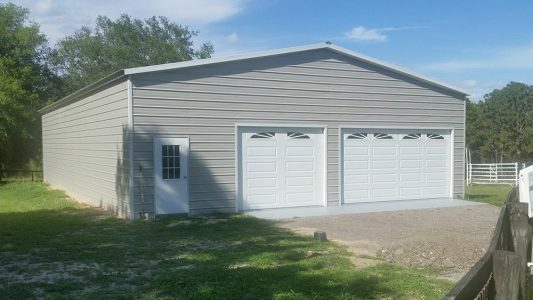 As a locally owned and operated business, RJ Labadie Construction has been providing excellence in new home construction, home remodeling, renovations and commercial construction in Englewood, Florida and surrounding communities for more than 25 years. Even after all this time, you can still count on us to deliver exceptional quality and customer service. We are an official dealer for Orlando Steel Enterprises. 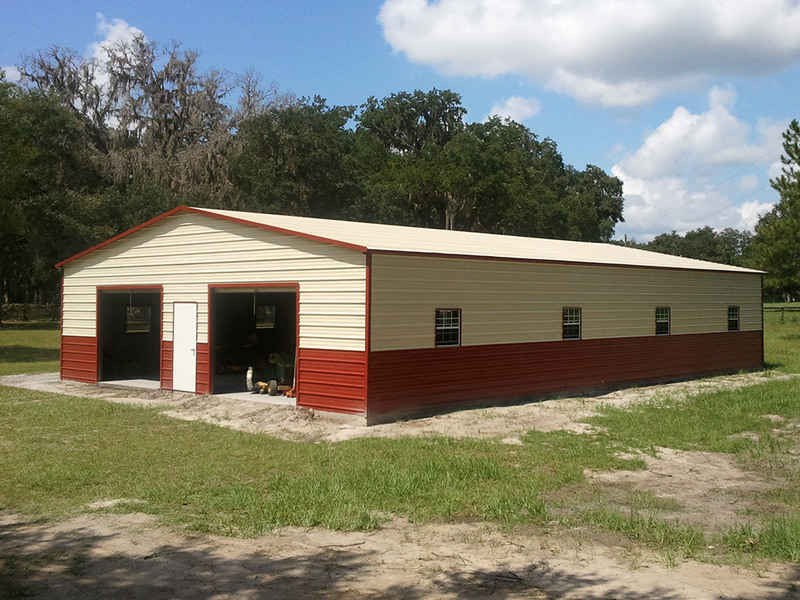 Orlando Steel manufactures all of their metal structures in the state of Florida from 100% American steel. 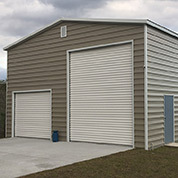 The company has been offering quality products and services for almost 50 years. Our professional team will walk you through every step of the building process from beginning to end, ensuring that you get the structure you want! As licensed general contractors, we and Orlando Steel Enterprises will make your metal building process smooth from selection, to permits, to final inspection.